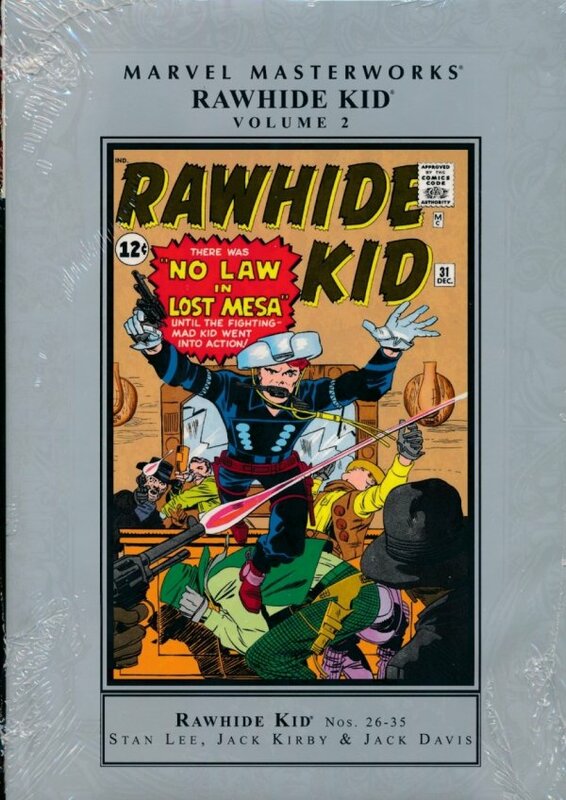 They're not just the pair that created the world's most-famous super heroes; Stan Lee and Jack Kirby prove they're the kings of all comics, with a one, two-gun second Rawhide Kid Masterworks! The man from the Texas town of Rawhide, Johnny Bart, is the fastest draw in the wild West, but that kind of reputation doesn't come easy, and with the law on his trail it's all for one for the Rawhide Kid. Every no-good varmit west of the Mississippi from Mister Lightning to the Barker Brothers to Jasper Jelko is looking to build his rep over the Kid's dead body, and when you've got friends like Jesse James, who needs enemies?! So do yerself some good book learin', reserve your copy today, and one day you might be just as good as the roughest, toughest, rootin'est, tootin'est cowboy who ever kicked back a glass of milk!